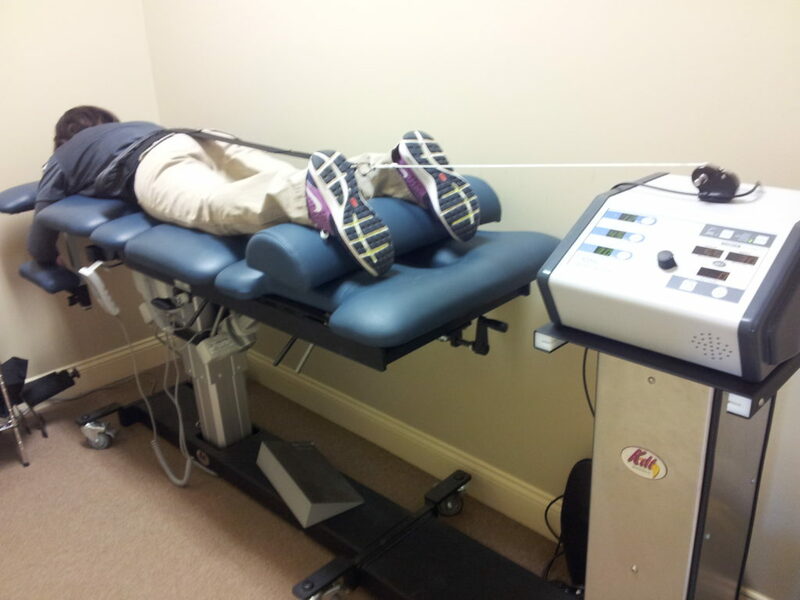 Nonsurgical spinal decompression is a type of motorized traction that has the ability to relieve back pain for patients. 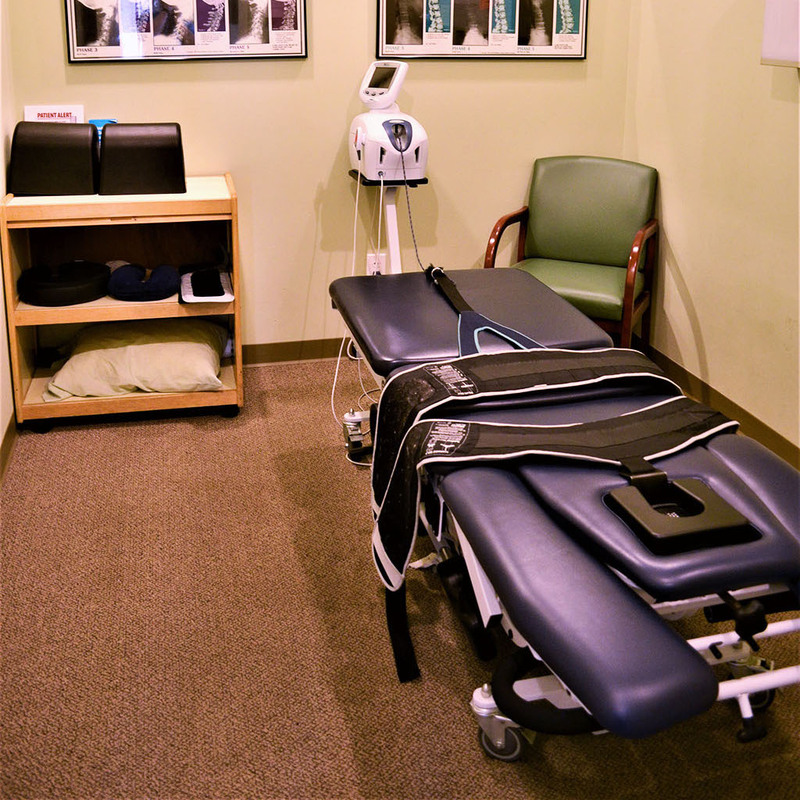 Spinal decompression is the act of gently stretching the spine that ultimately changes the position of the spine. The reason we want to re position the spine is because the spine in its current position is what is causing the back pain to begin with. Once we alleviate the spinal discs of of pressure, the bulging or herniated disks may retract, taking pressure off your nerves and other structures found in your spine. By creating negative pressure in the discs and alleviating the pressure, this promotes movement of water, oxygen, and nutrient-rich fluids into the disks so they can finally begin to heal.